I’m pleased to be once again bringing the “good news” and the “how to” of natives to Landscape Architects, Designers and LEED Professionals at the LA EXPO , in two seminars with Mike Evans. 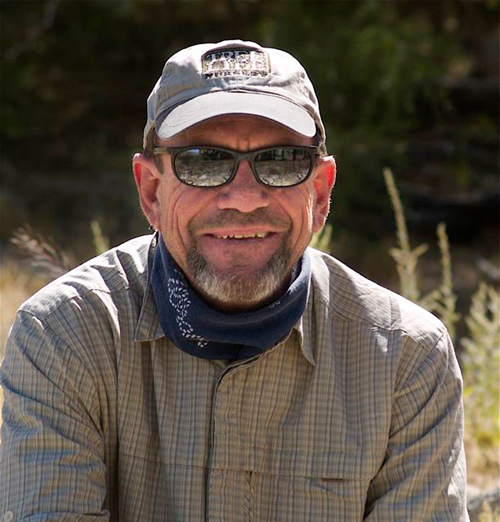 Mike is both passionate and practical speaker, and has over 30 years of experience of success with California native plants. I will be focusing on color, with input from Mike, and Mike will be focusing on success using a plant community approach, with my input. We plan robust discussion to help professionals counter obstacles to using natives in the landscape. COURSE DESCRIPTION: Spring in California is a riot of color, sending photographers to the wildflower meadows and inspiring numerous native garden tours. Surprisingly, some natives bloom almost year-round. Other California plants bloom at different times of the year, whether in January or July. Features such as colorful leaves, berries and stems provide additional interest in Fall and Winter. Creating continuous bloom also helps pollinators thrive, enhancing habitat. 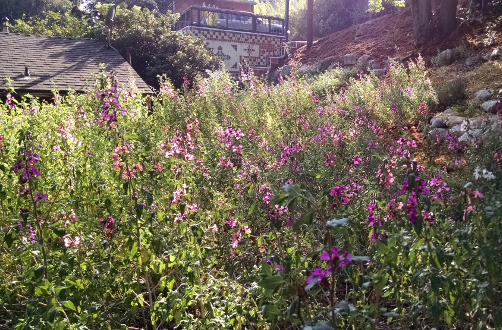 This course provides a tour through the most colorful plants in the California native palette with plant descriptions and bloom times, as well as numerous examples of color in the landscape and the most striking color combinations. A descriptive plant list will be made available. 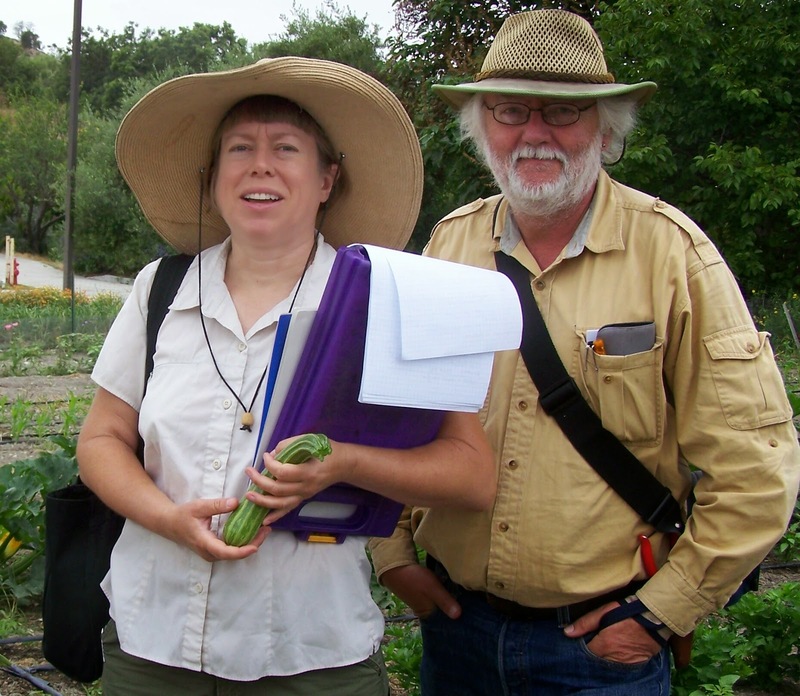 COURSE DESCRIPTION: Success with California’s native plants depends on more than choosing the showiest native plants and putting them together in the landscape. Choosing a palette of plants based on natural communities and associations of plants is an ecologically sound basis for design, and leads to the most successful, longest-lasting and easiest to maintain landscapes. This course will focus on communities including Chaparral, Riparian/Alluvial Fan, Coastal Sage Scrub, Oak Woodlands, Meadow and Desert and how to match these associations to the micro-climates and soils on your site, as well as to features such as planted bio-swales. The best-looking and most reliable selections from these communities will be discussed. A descriptive plant list and plant community list will be made available. Success for the Sierra Madre Garden! It was a truly joyous weekend to see all of the work of the Sierra Madre project come to fruition. I was thrilled to see native plant rock stars Bart O’Brien, Carol Bornstein, and Greg Rubin come to visit, and I almost passed out with excitement when my biggest hero, Bart, said I’d done a good job. Bart O’Brien and Carol Bornstein, along with David Fross, wrote the bible on our plants: California Native Plants for the Garden. Their new book is Reimagining the California Lawn. 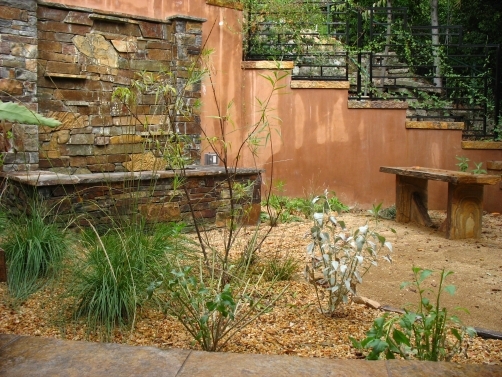 Greg Rubin’s design/build company is California’s Own Native Landscape Design. Over 200 people came to the garden! It showed that using “local natives” – plants not just from California, but from the local region – can work in the landscape, creating both a restoration and a tranquil garden. My clients’ Sierra Madre garden will be on the Theodore Payne Garden Tour this Saturday! The Tour runs from from 10 a.m. to 5 p.m. The Theodore Payne Garden Tour features 37 gardens across the Los Angeles area during two days, Saturday the 14th and Sunday the 15th. This garden is number 19. 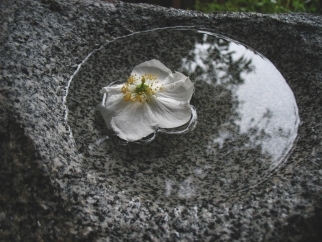 Restoration of the local ecology was an important purpose in creating the garden. It features local native plants and more than 75% are species local to the area. Many are rare. It features plants such as the Stream Orchid, Epipactis gigantea, Dudleya lanceolata and D. cymosa, the local Coral Bells, Heuchera elegans, and the Soaproot, Chlorogalum pomeridianum.